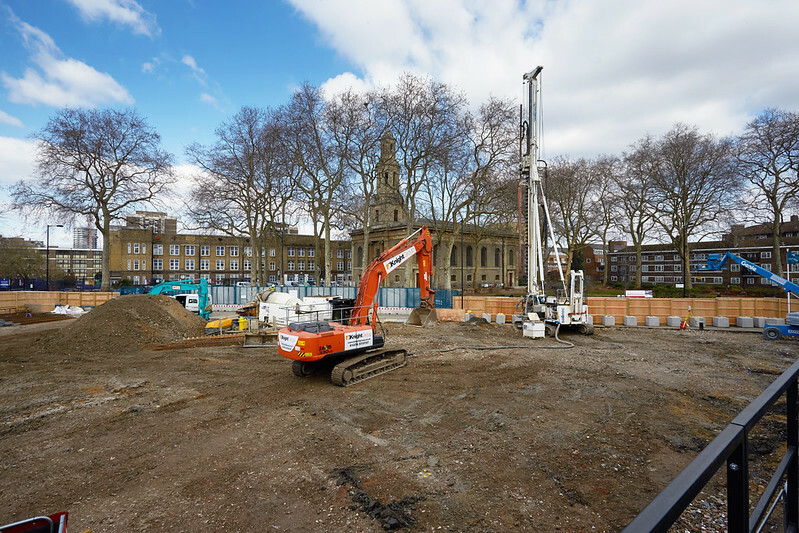 Based on Hoxton's New North Road, the redevelopment of St Leonard's Court will see the original bedsit properties replaced with new, modern homes that better meet the local housing need. The decision was made to redevelop the homes at St Leonard's Court as the size of the homes did not meet modern standards and surveys found the buildings to be uneconomical to refurbish - providing an opportunity to replace these with the family homes needed in Hackney. These replace all the original 64 homes on the estate, the majority of which were bedsits, with a mix of one, two and three-bedroom homes more suited to the housing need in the area today. They are priortised for people living and working in Hackney who are unable to afford to buy a home outright but are unlikely to be prioritised for social housing. The designs for St Leonard's Court have been led by Child Graddon Lewis architects. They have developed designs to respect the Grade II listed St John the Baptist Church opposite and the Georgian terrace along New North Road, and provide energy efficient homes that meet Sustainable Homes Level 4 standards. With all existing residents at St Leonard's Court rehoused, construction of the new homes is expected to begin before the end of 2017. The homes should be completed in 2020.